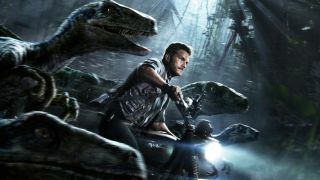 Jurassic World broke all kinds of box office records when it came out in 2015, so there was very little surprise regarding the existence of its as-of-yet untitled sequel. What is surprising is where the next movie in the series is apparently drawing its inspiration from: PETA. Colin Trevorrow, director of Jurassic World and producer on what we might as well call "Jurassic World 2" for now, told El Mundo (via Time) that the film will be about animal abuse. "The dinosaurs will be a parable of the treatment animals receive today: the abuse, medical experimentation, pets, having wild animals in zoos like prisons, the use the military has made of them, animals as weapons," he said. And while Trevorrow himself didn't name-drop the famous organization, that sure sounds like the types of issues it likes to call attention to. Trevorrow also noted that the sequel would be "a very different movie that will explore new paths. For that reason, it was clear that it needed to be [J.A.] Bayona who would direct it, in order to have it grow and evolve with his very personal vision." Bayona is a relative newcomer to Hollywood, with the 2012 film The Impossible as his first major English-language movie. He also directed the upcoming A Monster Calls, so it's fair to say his productions tend to have a lot of heart behind them. Whether that means a more toned-down, less-bombastic version of Jurassic World, only time will tell. Directed by J.A. Bayona and starring Chris Pratt and Bryce Dallas Howard, Jurassic World 2 (or whatever it ends up being called) is currently scheduled for a June 22, 2018 release.